Dear members, CBC is pleased to announce that 8 Ball Pool Championship 2019 will be held at CBC Pool Room from 15 Mar 2019. 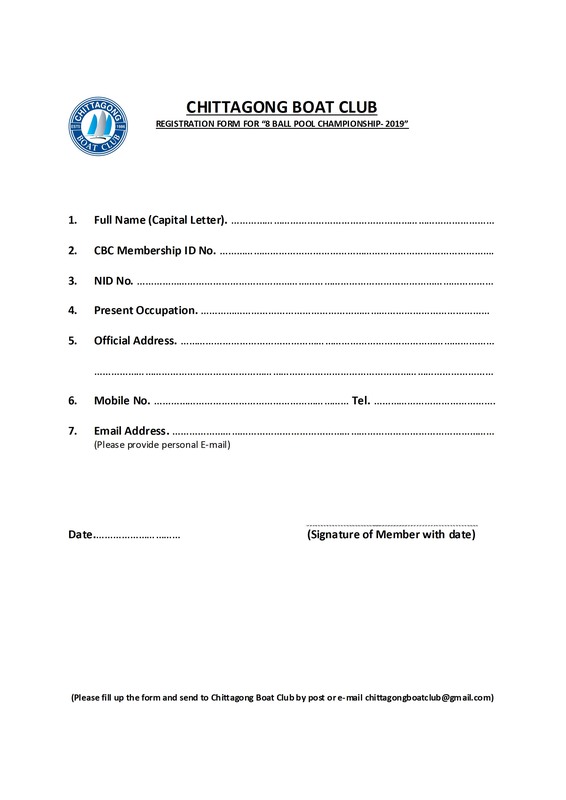 Interested members are requested to complete their Registration by 13 Mar 2019 (Registration form available at front desk, facebook and website). Regards CBC.